On August 4th, Create Now produced our third annual Power of the Arts Festival at Venice Hope Park, right across from our facility. 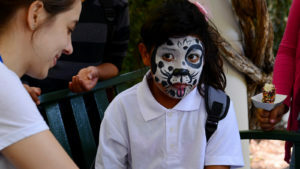 More than 300 low-income kids of all ages came with their families and chaperones from throughout L.A. County to our DTLA neighborhood (near the Convention Center and STAPLES). Most were foster youth, homeless families and low-income kids from our partner agencies.They sang and danced for an enthusiastic public crowd. 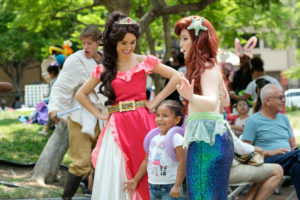 The children interacted with a princess, a mermaid and a Star Wars Jedi. They loved the fun gigantic games and creating different arts projects.There were loads of free tacos, candy and drinks for everyone in attendance. Every youth received a backpack filled with school supplies, socks and more. Any child who performed at our Open Mic Talent Show got to select a toy or age-appropriate gift from a large variety of prizes. Disadvantaged children also won raffle prizes. 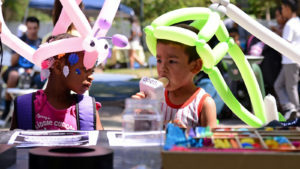 The kids enjoyed getting to select from a variety of balloon art and to have their faces painted by amazing artists. 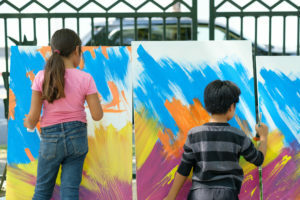 They also loved creating live art on canvases. Thanks to Elan Shukartsi and the Moe Life Foundation for being our presenting sponsor. Open donated gourmet ice cream pops and Sony Pictures sponsored the balloon art. We’re also grateful to all of our volunteers for helping with our event. We couldn’t have done it without you! 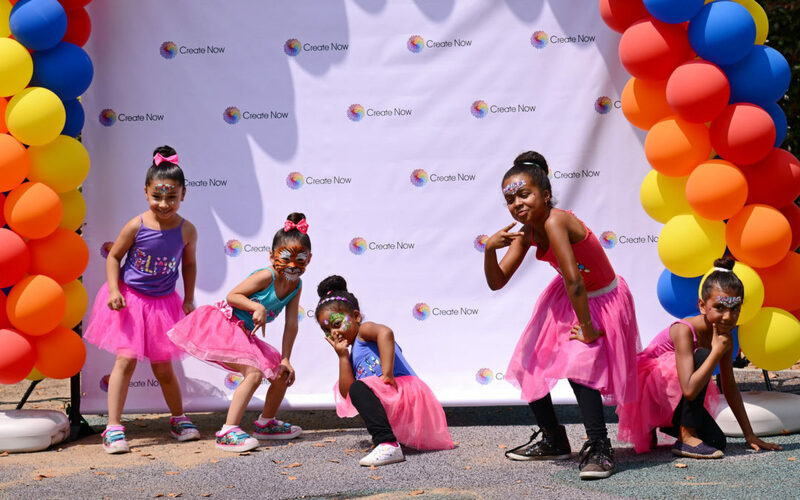 If you’re interested in sponsoring a Power of the Arts Festival at a location near you, please contact Ruby Medina at: (213) 747-2777 x 3, or email: ruby@createnow.org.